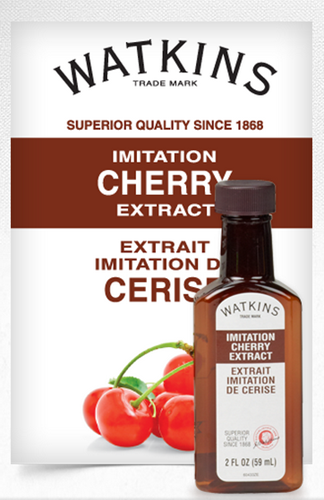 I stared at the box of cherry extract in the baking aisle. I had no reason to get it, no plan in mind of how to use it, but I wanted it. A couple days after I’d put the groceries away, I saw that little box of extract in my cabinet and was hit with inspiration. Yay! I’ve mentioned in the past how I’ve been making my own coffee creamer. I have to say, I really love the different flavor combinations I can make. So I took that little box of cherry extract and put it in my homemade coffee creamer. I made a batch that was half cherry half chocolate, and a batch that was half cherry half vanilla. It’s like having a bite of chocolate covered cherry, or a scoop of cherry vanilla ice cream, as you drink your coffee. Dairy free coffee creamer, that is! Shortly before this past Christmas, I went on a mission to try to figure out why my blood sugar seemed to want to stay above 100. I was doing everything right – super low carb ketogenic diet, no grains, no sugar – and still my blood sugar didn’t seem to be cooperating. The only culprit I could find was the heavy whipping cream I used in my coffee. Lactose, anyone? I have never been lactose intolerant, so it took a while for me to latch onto this culprit. I tried the sugar free versions from the brand name varieties, thinking that at least they were dairy free, and sugar free. But they weren’t carb free. 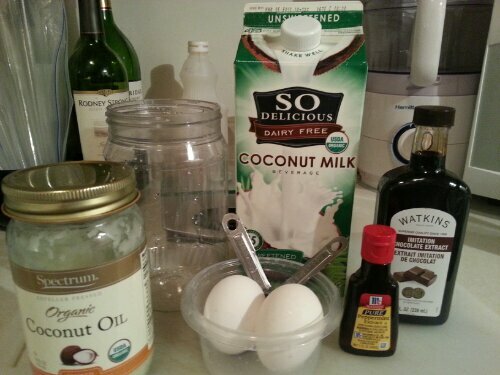 I modified this recipe a bit, since the only canned coconut milk I could find was loaded with sugar. I did, however, find an unsweetened coconut milk, so I used that one. Initially, the only coconut oil I had on hand was the one that has the coconutty fragrance. 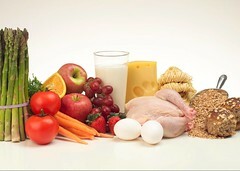 Nice in some foods, not so much in coffee. Blech! I stuck with it though and almost immediately, the facial candida rash I’ve struggled with for the past few years seemed to disappear. Only the barest traces remain, yay! And my blood sugar plummeted into the 80s. Not to mention a 6lb weight loss in a week and a half. Seriously, how awesome is that?! I think we’ve found a winner! Naturally, I had to start experimenting with different flavors. Yesterday morning, the chocolate extract I ordered finally came in. I couldn’t find it while grocery shopping, and discovered that McCormick isn’t making it anymore, so I did a search on Amazon and found some, woo! 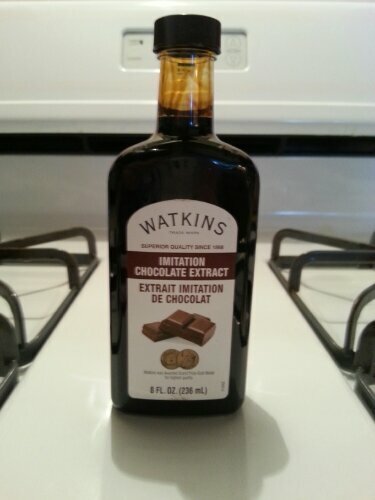 Jr Watkins Chocolate Extract 8 Oz. I couldn’t wait to get started, so yesterday afternoon, I whipped up a batch of chocolate-peppermint flavored creamer. Now that I have an unscented version of coconut oil, the chocolate and peppermint together can really shine. Oh my gosh, it’s so good! It smells like chocolate mint ice cream, or a York Peppermint Patty! Yum! Next I might try chocolate almond. Or chocolate hazelnut. So many extracts, so many flavors, so many possibilities! Now, I often split that teaspoon into 2 half teaspoons, for instance, half teaspoon peppermint, half teaspoon chocolate. I break it down as a half teaspoon per cup of coconut milk. You may want to use a full teaspoon of a single flavor if you don’t want to blend flavors. Also, you may want to use a full teaspoon of extract per cup of coconut milk, depending on your taste preferences. For me, that measurement was a little strong, so I cut it back a bit. Once blended, I can just pop it in the fridge and it’s ready to use. Honestly, I don’t know how long it keeps because I go through it pretty quickly, but I wouldn’t give it longer than a week, with the eggs in there. This version is unsweetened, since I add my own sweeteners to my coffee, but if you want a pre-sweetened variety of homemade coffee creamer, I also found this recipe: Homemade Dairy Free, Paleo, Sugar Free Coffee Creamer Recipe. 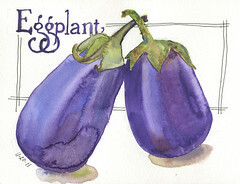 I am not adventurous enough to try to make my own date paste, but if you are, please let me know how it turns out!